This academic health science center includes several buildings dedicated to the education of nurses, doctors, and dentists, as well as medical research programs and outpatient clinics, housing thousands of employees and students. Areas of study include behavioral and psychiatric sciences, health informatics, dental research, stem cell research, molecular biology research, and nursing. There are also outpatient clinics offering assessments and specialized care for patients with several types of psychiatric disorders. Due to the large number of people conducting research, teaching, studying, and receiving medical services at this center, Indoor Air Quality (IAQ) is a top priority. 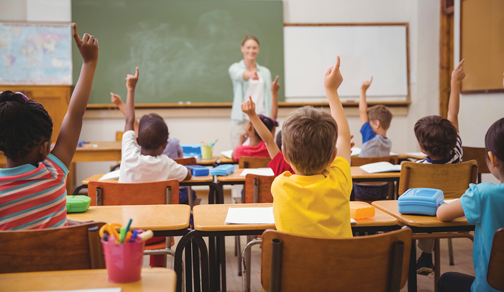 Poor IAQ ranks as one of the top five environmental risks to public health, and the health and comfort of students and teachers are among the many factors that contribute to learning and productivity in the classroom, which in turn affects performance and achievement. The air inside facilities can contain molds, spores, pollens, Volatile Organic Compounds (VOCs), bacteria, and viruses. Recently the health science center had an HVAC issue, where the filter changeout rate had accelerated for Air Handling Units (AHUs) close to outside air intakes. These filters were getting damp from humidity and rain. Filter changeouts therefore had to take place every 2 – 3 months in areas of the buildings that brought in outside air. Because of this issue, the health science center needed a better air filtration solution for these AHUs. 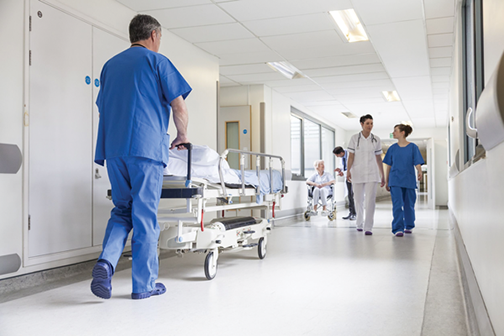 The health science center’s AAF Flanders representative performed an air filtration audit in all of the center’s buildings, in order to provide building managers with professional guidance and analysis to reduce spend, decrease risk, and save time. As part of this guidance, the representative also conducted an Indoor Air Quality workshop with all of the building managers. During the audit, the AAF Flanders representative found that filters in the AHUs close to outside air intakes were bending and buckling because of exposure to humidity and rain water. To solve this issue, the AAF Flanders representative suggested that the center try MEGApleat M8 filters in these AHUs, because of their durability and high Dust Holding Capacity (DHC). The MEGApleat M8 filter is extremely strong and durable under difficult operating conditions, including high-moisture applications, which made it a good choice for the center. The filter’s media pack is bonded to the frame at all points of contact, using moisture-resistant adhesive. This bonding prevents dirty air bypass and promotes even airflow through the media pack. 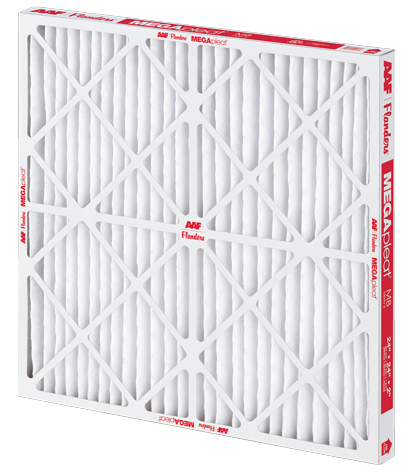 The filter construction process results in a filter which is very stable, with no racking or vibration of the pleats under normal airflow. Pleat stability minimizes the chances of captured particulate shaking loose and re-entering the airstream, thereby ensuring a high IAQ for the center. The center agreed to try the MEGApleat M8 filters in the AHUs near outside air intakes. These filters have lasted twice as long as the replaced filters, extending the changeout period to 4 – 6 months. This extended changeout period saves the center significant time and money, optimizing filter performance while lowering Total Cost of Ownership (TCO). The MEGApleat M8 filters also keep the center’s final filters cleaner and more energy-efficient. Because of these factors, the center has ordered almost 3,000 MEGApleat M8 filters in the past year. The AAF Flanders representative also visits with facilities personnel on a regular basis to consult about IAQ and air filtration issues. This attention to effective planning has made the center very happy with AAF Flanders. Indoor Air Quality is a primary concern for both schools and universities, due in part to the age and overall condition of educational buildings. Failure to respond promptly and effectively to poor school air quality can lead to an increase in long-term health problems, costly repairs, and potential liability problems. AAF Flanders provides you professional guidance and analysis for cost savings by conducting a thorough air filtration audit.